Butter Fly Effect-Chaos theory; "The flapping wings of a butterfly on one side of the world can cause a typhoon on the other side". What can we extrapolate from this? That the slightest of action, good or bad has a ripple effect throughout the history of mankind. Each encounter with another, sets off a reaction; Each encounter effects a change in direction. 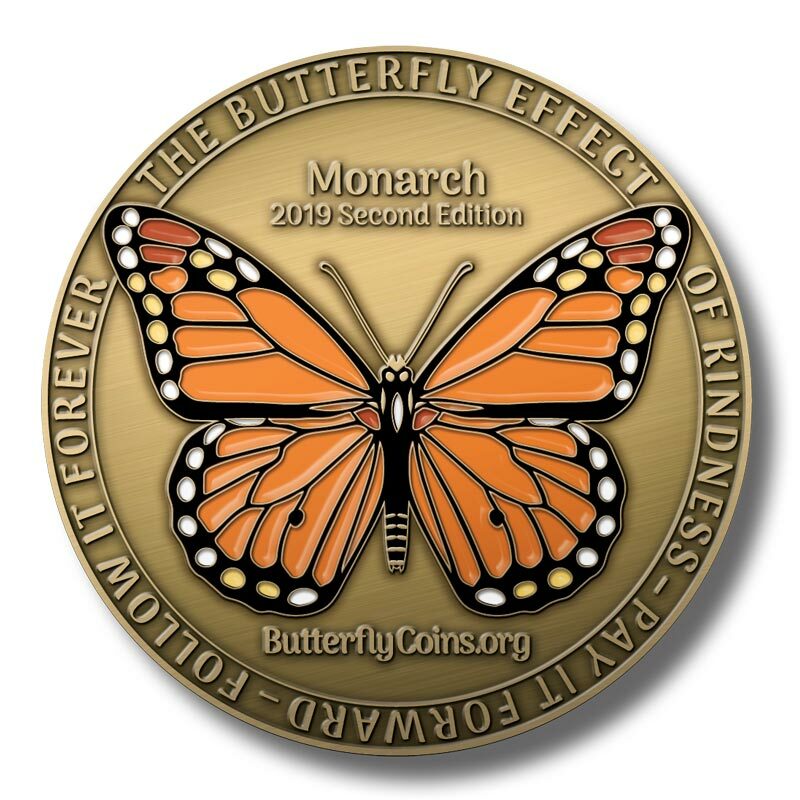 I received this coin not because I feel I have performed a good act, but for being who I am; myself, just giving a helping hand, a listening ear, and hopefully words of kindness to someone at a time when they needed it most. My motto; "Do Good and Disappear" "Do good without hooks"